Since I started my matriculation at Fort Valley State University, I have actively been involved in striving to bring about positive change the campus. Serving as a Senator has allowed me to be a part of the legislative procedures with the Student Government Association. I have also shared my love for my university with high school students at various schools throughout the state of Georgia. The experience on the front line of recruitment as a Student Ambassador has allowed me to recruit future students in hopes others continuing the pursuit of excellence, Wildcat pride and tradition of Fort Valley State University. My future goals are to attend Meharry School of Dentistry in Nashville, Tennessee and then return to my hometown of Decatur, Georgia and offer free dental care to those who are less fortunate. Practicing family dentistry in my hometown will allow me to educate patients, as well as the general public, on how to achieve oral health and prevent diseases. More importantly, through the field of dentistry, I will be able to offer needed services to help the community and residents of Decatur in achieving good oral health and maintaining their teeth in good appearance. 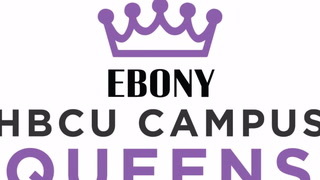 My most memorable contribution as a Campus Queen was speaking to young adults at the Fort Valley Boys and Girls Club about the importance of financial empowerment. Unfortunately, financial literacy has not been a required subject for our students in elementary, high school or college so most of them are inexperienced about how to manage money when they enter the real world for the first time. To combat the absence of this knowledge, I shared with them important tips to begin practicing such as knowing where their money is going, learning how to balance a check book, starting a savings fund and spending money in their own communities. This speaking engagement was my most memorable contribution as a Campus Queen because the impact of my suggestions, more than my words, will remain the young adults for the rest of their lives.